Hans Wetzel reviews Frey 2 for Soundstage! The consumer electronics industry is constantly changing. New technologies and upgrades are introduced on a regular basis. In order to stay current with hifi audio’s latest and greatest, it’s important to keep one ear to the ground, so to speak. There are a number of publications available, whether print, digital, blog or otherwise, that provide all of the information needed to stay up to speed. 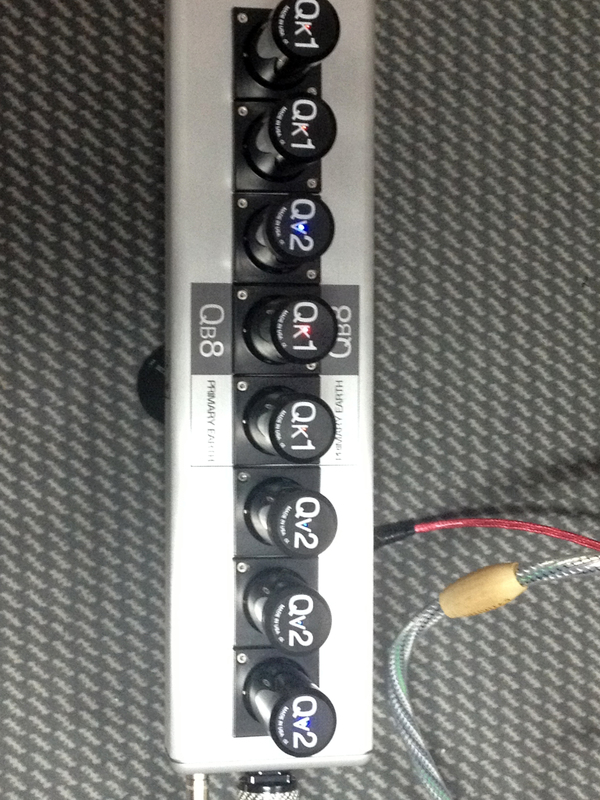 One great example is Soundstage! A few months ago, Soundstage! 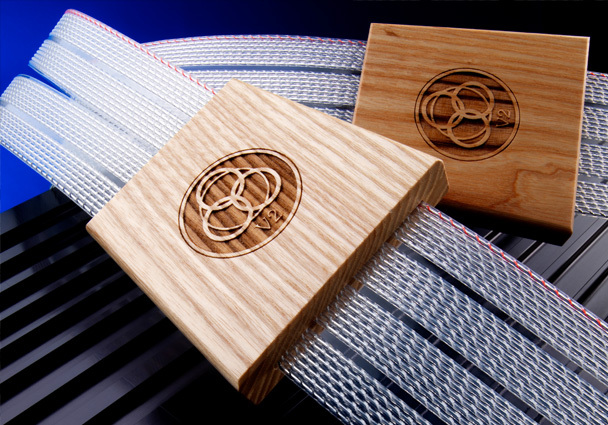 published an article, written by reviewer Hans Wetzel, featuring Nordost’s Frey 2 range. 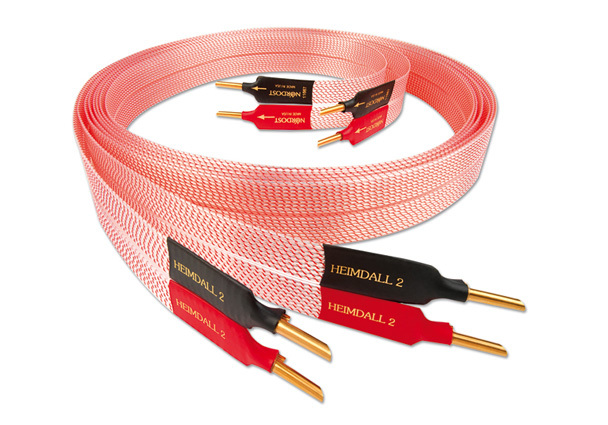 In his article, Wetzel looks at the entire loom of our Frey 2 cables including speaker cables, interconnects and power cords—and we are quite pleased with his conclusions! “If there’s a cable company whose products soundstage with the same breadth and agility that Nordost’s can, I’m unaware of it.” –Hans Wetzel, Soundstage! Mr. Wetzel’s full review is now available on the Nordost website under Reviews. 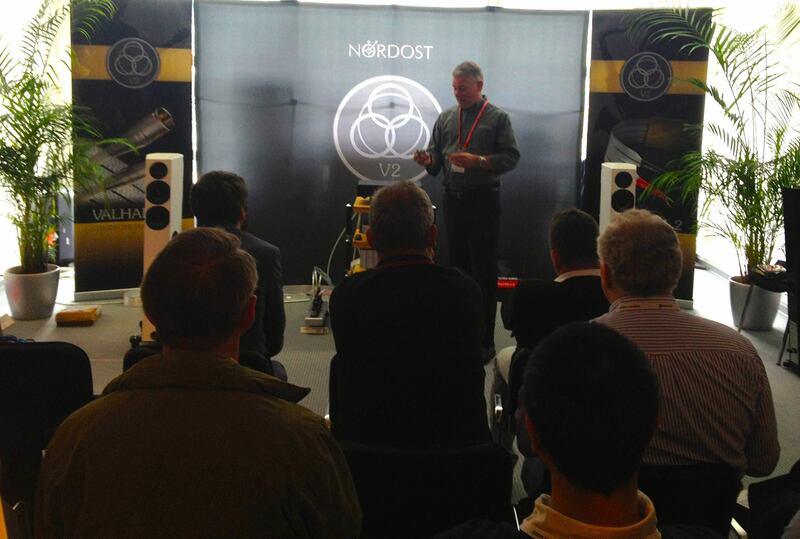 Nordost has always maintained that the single most important cable in a hifi system is the one coming out of the wall. The power cord is responsible for the AC current that is running your whole system. In other words, without your power cord, you are without sound. Likewise, with a poor quality power cord, you have equally poor quality sound. 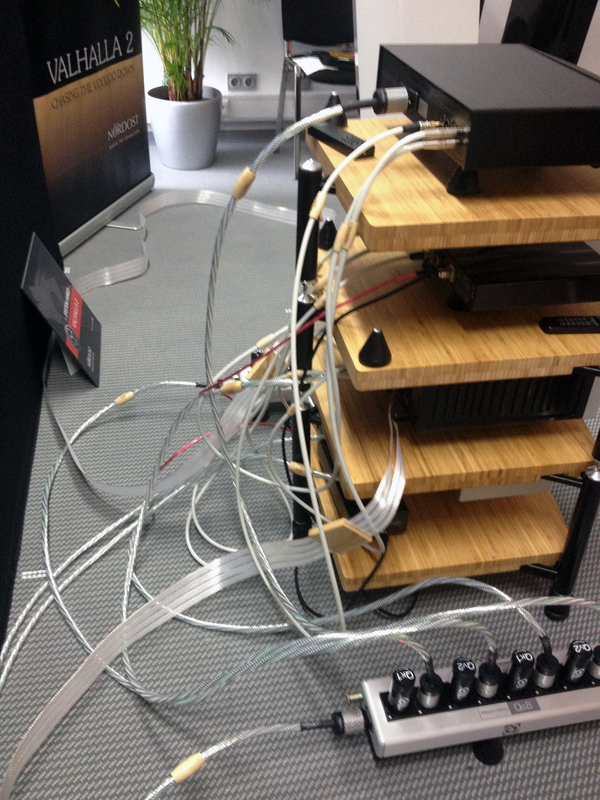 Last week, at the High End Show 2014 in Munich, Nordost released the newest addition to our AC mains, the Tyr 2 Power Cord. Though still a part of the Norse 2 family, the Tyr 2 Power Cord benefits from the extensive research made in creating Valhalla 2, which also made its debut in Munich (in 2013). 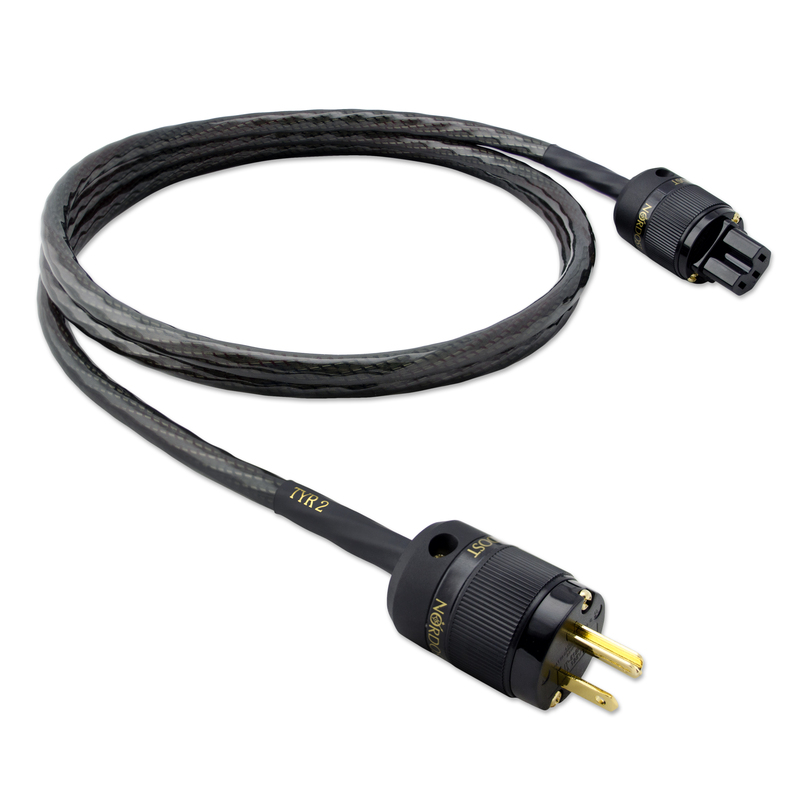 As with V2, the Tyr 2 Power Cord uses a combination of Nordost’s proprietary Dual Mono-Filament technology with a precise method of FEP extrusion over the conductors. This guarantees the most efficient transfer of power in the industry, putting this cable a step above its Norse 2 brothers and bounds ahead of the competition. 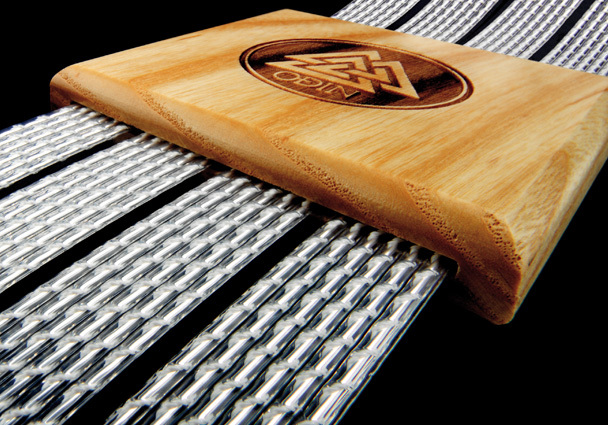 The Tyr 2 Power Cord is constructed with 7 silver plated, solid-core 16 AWG OFC conductors, giving it complete material consistency with Norse 2 interconnects and speaker cables. Additionally, the Tyr 2 Power Cord implements mechanically tuned lengths, reducing internal microphony and high frequency impedance resonance. 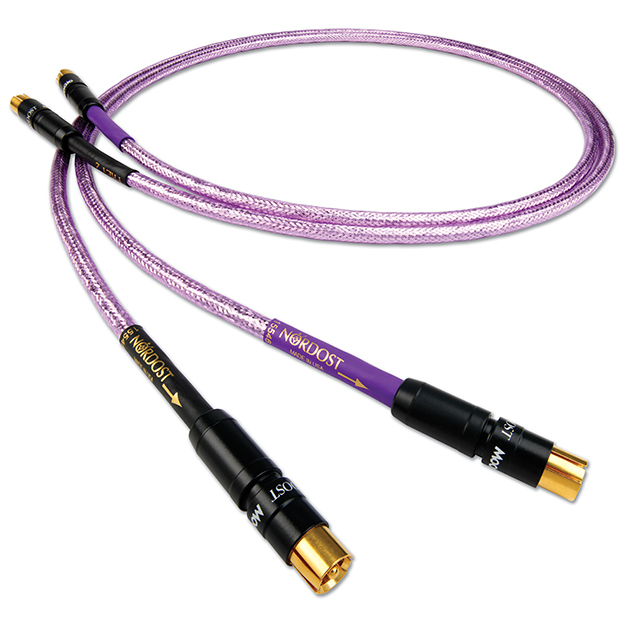 The result is a high performance, low loss cable, capable of the dynamics, color and texture required to not only produce sound, but recreate true, lifelike performances. 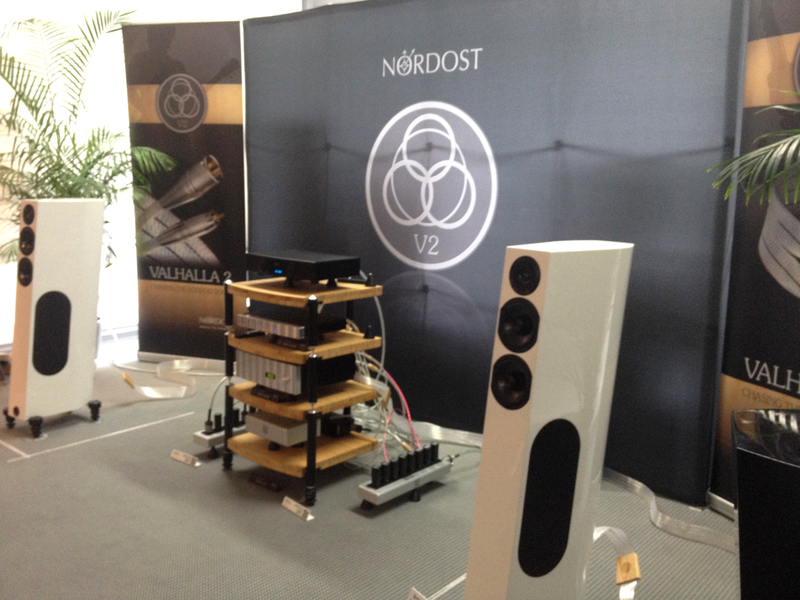 The High End Show 2014 in Munich has come to an end, and Nordost couldn’t be happier with the results. 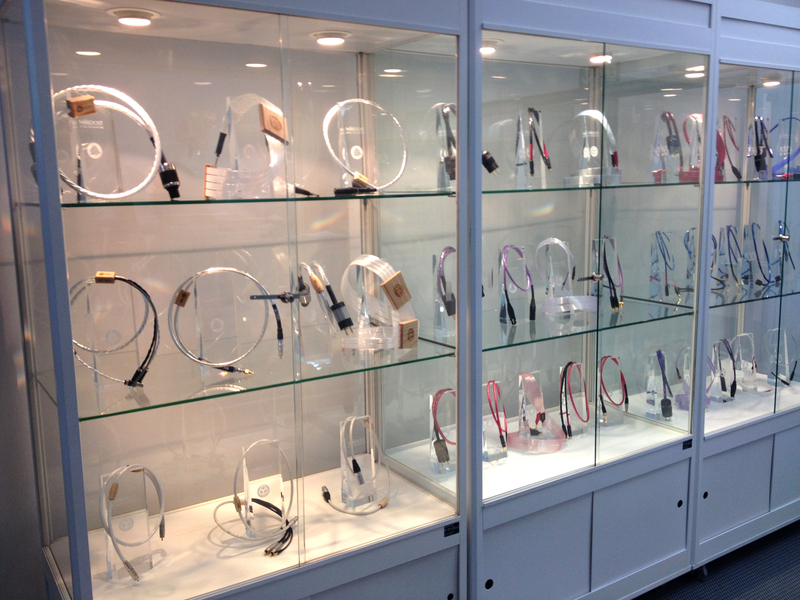 We unveiled a number of new innovations this year in Munich, including the Tyr 2 Power Cord, the Blue Heaven and Heimdall 2 iKables, and the Heimdall 2 Headphone Cable. The reaction that we received was overwhelming! We are so excited to finally release these products to consumers, and we are sure that you will have as much fun with them as we do. We just want to end by saying a big thank you to all of our dealers and distributors who came out to see us during the show, and thank you to Bjorn Bengtsson and Michael Taylor for their effective demonstrations! 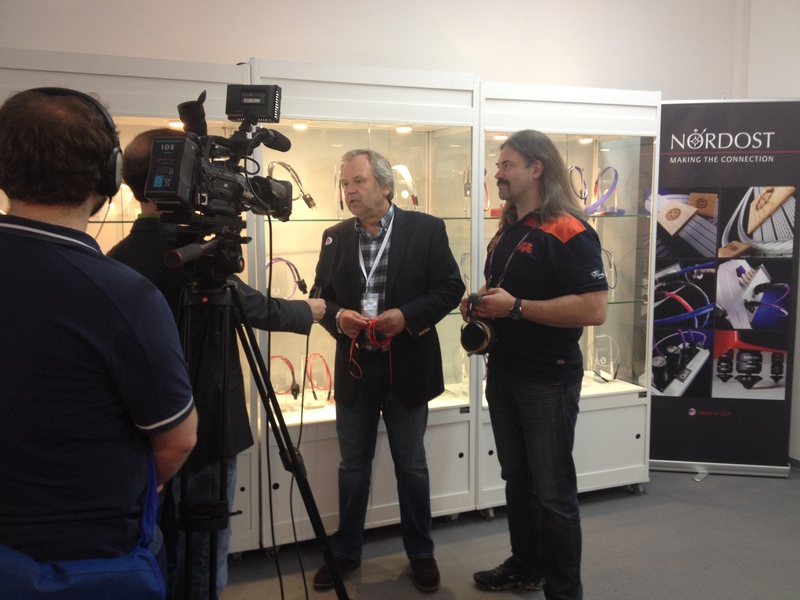 For those of you who were unable to make it to Munich this year, here are a few pictures from the show! Bjorn Bengtsson gave an incredible demo, as always! 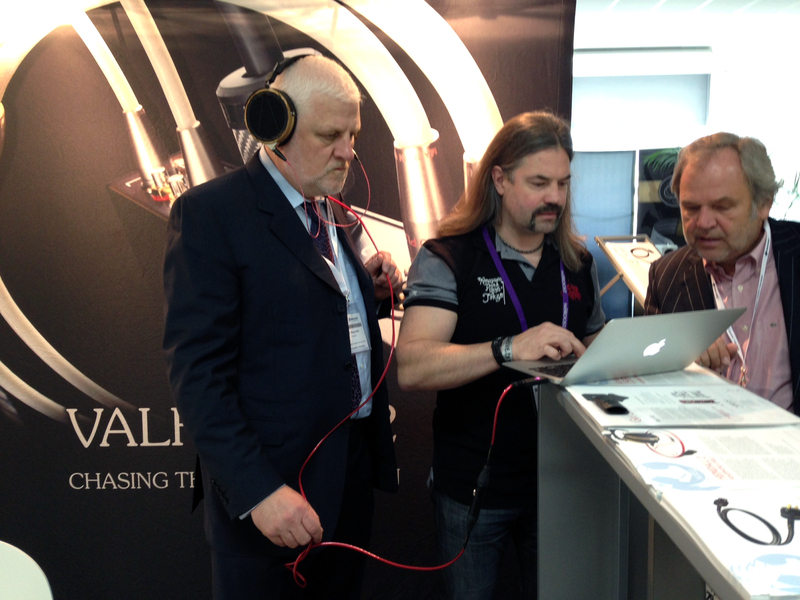 Nordost president, Joe Reynolds, getting in a quick listen to the new Heimdall 2 Headphone Cable. Valhalla 2, Audio Physic Scorpio 25 plus+, and Sort Füt. 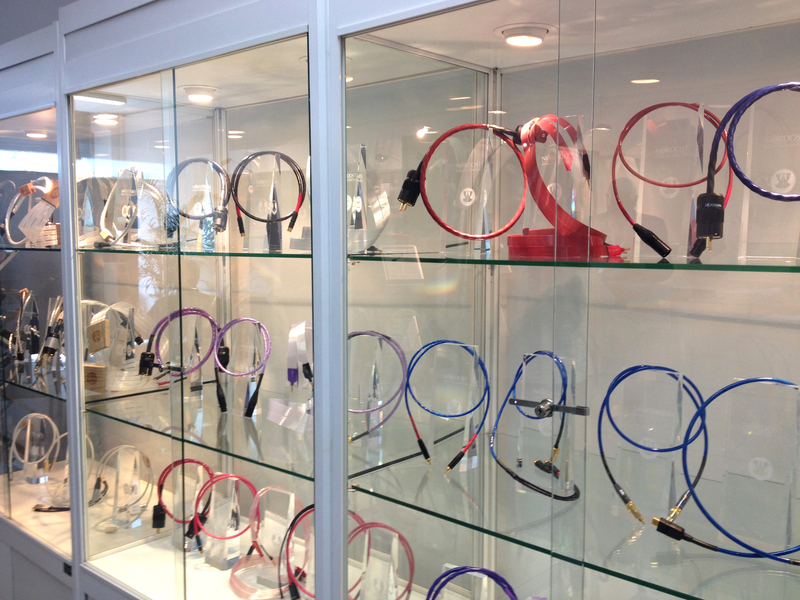 In order to make a quality audio cable, one of many goals manufacturers need to achieve is low resistance. Resistance is like a sponge, soaking up the energy you need for your components to run as intended. In order to lower resistance, we not only increase the gauge size of the conductors, but we increase the number of conductors themselves. However, simply bunching these conductors together causes another problem—strand interaction. Each conductor produces a magnetic field, which attracts the energy carried from each surrounding strand, causing information to jump from conductor to conductor. This both slows transaction speed and causes a loss of vital information along the way. When conductors are separated, as they are in a flat cable design, the harmful effects of strand interaction are minimized, while, at the same time, the desired low resistance is achieved. Every material has its own specific optimal resonance, or speed at which it vibrates. This is the same for the conductors that make up your speaker cable. If the conductors are too close together (or worse…touching), they have a damping effect on one another, negatively impacting their mechanical resonances. 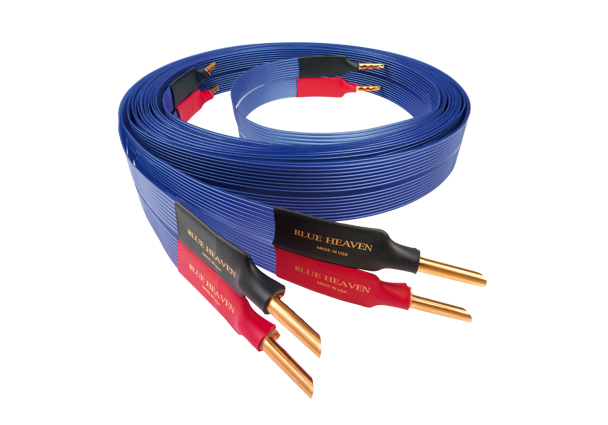 With flat speaker cables, more attention can be paid to the layout and spacing of each individual conductor, giving the material enough room to ensure that they are able to take advantage of their natural resonances. Additionally, when the conductors are not intertwined and wound up in each other, they can be cut at specific mechanically tuned lengths that reduce internal microphony and high frequency impedance resonance. Self-inductance of cables creates a phenomenon where high frequency signals travel to the surface of a conductor, rather than the center. This raises the resistance of cables at those affected frequencies, making it harder to transmit high frequencies than low ones. This problem is known as “skin effect”. Although it may seem to follow reason that constructing speaker cables with stranded conductors would solve this problem, when stranded conductors are bundled together, touching one another, the bundle acts as one conductor and so the skin effect remains unchanged. 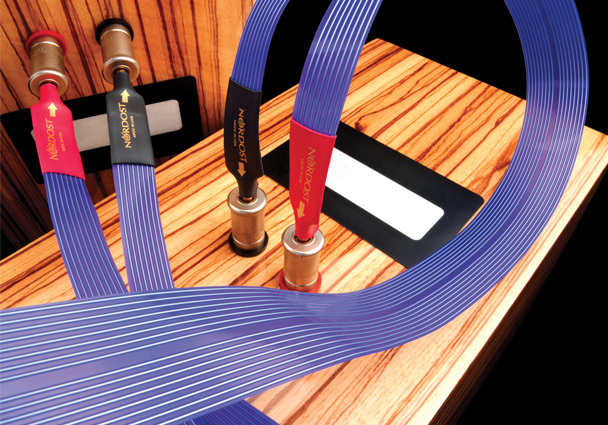 In a flat speaker cable design, conductors are side-by-side (and in Nordost’s case they are even separated by extruded FEP insulation) instead of sandwiched together. Since the conductors are not touching and acting as one, high frequency resistance due to skin effect is minimized. Cables are negatively impacted by the electric static stored in floors. When there is interaction between a cable and the surface that it rests upon, the capacitance of the cables rises. However, when you use a flat construction, speaker cables have the ability to stand vertically when placed in your home sound system. When placed vertically, there is minimal physical surface contact between the floor and the cable itself, which offers a significant improvement over a round cable design. Although this reason may not seem important due to a lack of scientific jargon, sometimes convenience makes the difference you need. Flat cables are more flexible and, surprise surprise, flatter than round cables. This makes for more installer friendly options, especially if you are running your cables in-wall or under your carpet. 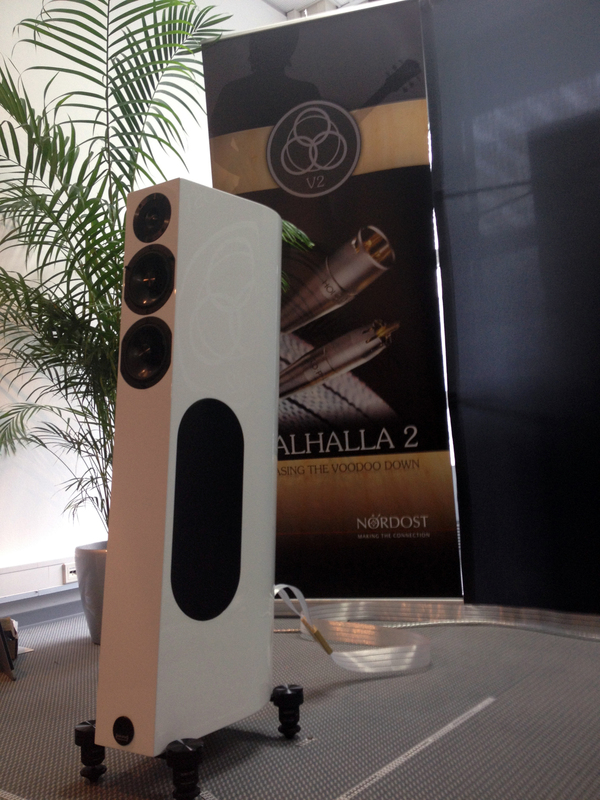 Nordost is going to be exhibiting at the High End 2014 show in Munich, held at the MOC May 15-18. 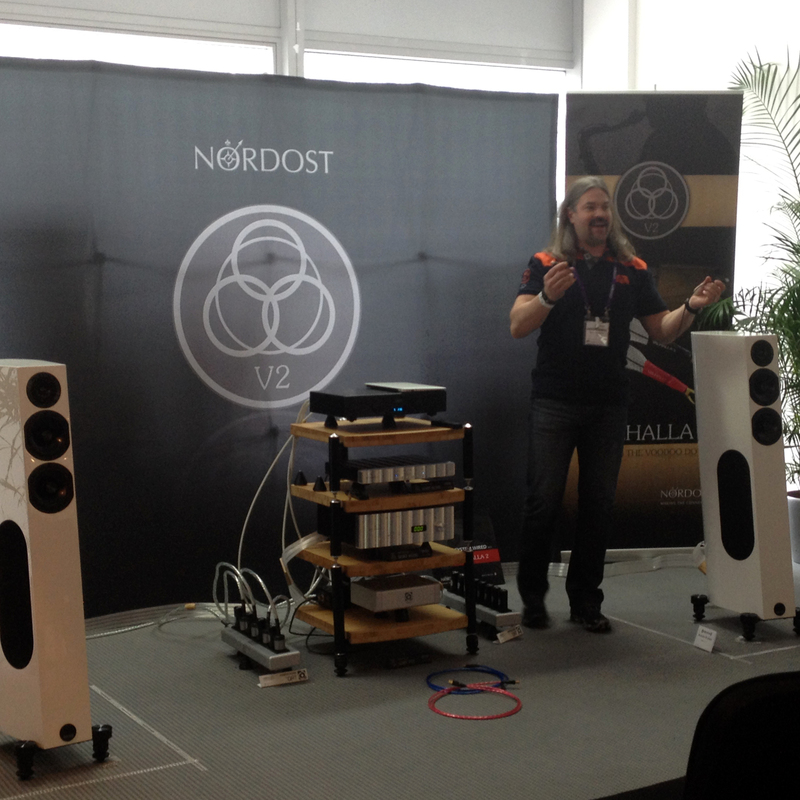 Product specialists and trainers, Bjorn Bengtsson and Rune Skov, will be performing demonstrations and answering questions in Halle 4 Room 114 as our VP of international sales, Johann Graham, takes meetings with Nordost’s international distributors. 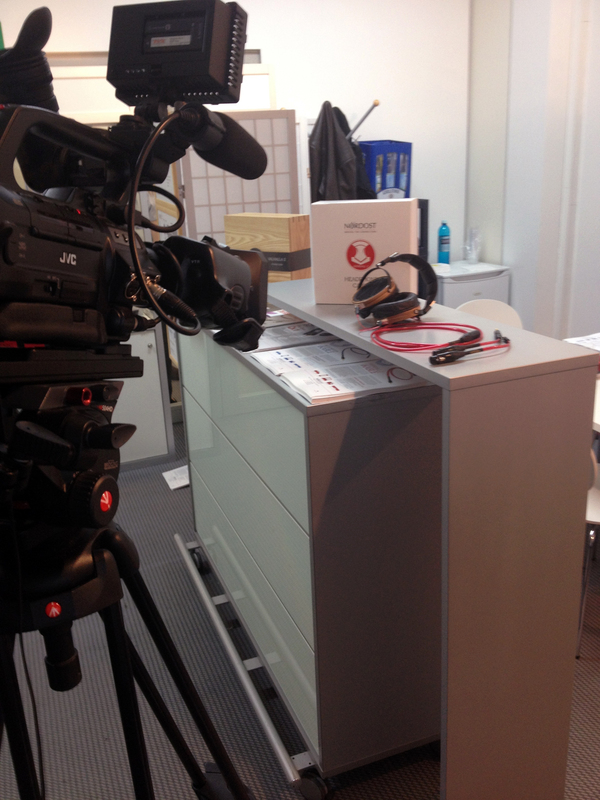 Demonstrations will feature several new products that will be debuted in Munich this year. 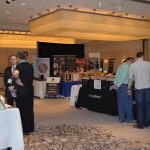 Nordost is eager to share these new innovations with High End 2014 attendees, and is looking forward to seeing all of our partners and friends again. High End 2014 should be a fantastic show. We hope to see you there! 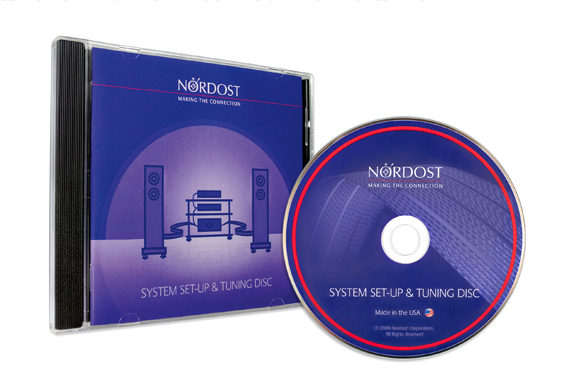 Nordost is reintroducing the System Set-Up & Tuning Disc. This test CD contains everything that you need to get a system sounding its best – and keep it that way. An extensive range of proven diagnostic tracks (plus a few innovative and extremely useful ones) helps with speaker placement and sub-woofer integration, performance checks and assessment, problem location and system conditioning. The disc comes with its own instruction book, which clearly lays out the purpose and benefits of each track. In addition to basic channel and phase checks, there are discrete left and right channel pink and white noise tracks, as well as alternating ones, which are ideal for checking that speakers are working properly and voicing them in-room. The computer generated LEDR tests provide a repeatable method for mapping and adjusting sound-staging and toe-in while uncompressed drum tracks test dynamic range and rhythmic integration. As well as conventional sweeps, there is a timed low-frequency sweep that will allow you to identify principal room modes. Used in conjunction with the discrete low-frequency tones this is a huge help in diagnosing problem environments, placing speakers and integrating and optimizing sub-woofers. Throw in system burn-in and degauss tracks and you can see why we consider this an invaluable part of our audio arsenal. What songs have made it onto your playlist this month?